Welcome Yule! Warm blessings to each of you in whatever hemisphere you may dwell. Whether we call today Yuletide, Winter Solstice, Saturnalia or Sol Invictus it is a reminder that our inner flame burns brightly despite what may appear as dark times. Here is a verse by Susan Cooper from her series the Dark is Rising in both words and a little video to celebrate turn of the great wheel once again as we shift into the light half of the year and honor the return of the sun. This year and every year." 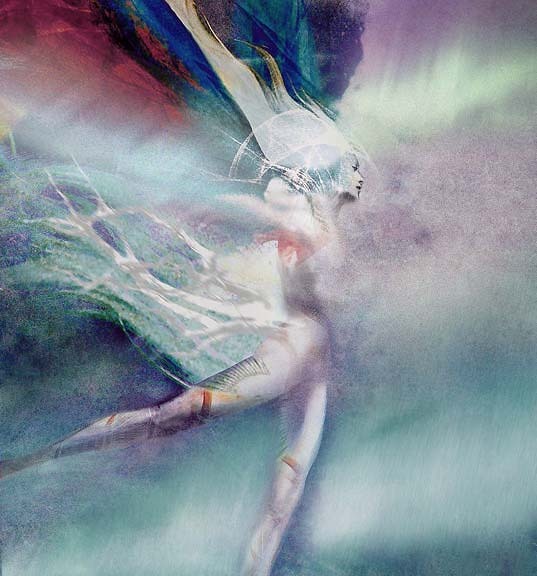 The opening image is the illustration I use to illuminate Aurora, it is a detail of Snow Faerie, created by Greg and featured in the 2009 Calendar titled Divine Nature. The image is available on his site in a set of postcards.